In the western part of Japan’s Honshu Island, Hyogo Prefecture encapsulates the beauty and grandeur of ancient and modern Japan, its natural beauty and its famous cuisine. Hyogo Prefecture cuts across the Kansai region of the island, with its northern coastline bordering the Sea of Japan and its southern one the Seto Inland Sea. Mountains dot the central interior of the prefecture and contribute to the area’s natural hot springs and caves. Kobe is the capital city of the prefecture, home to famous kobe beef, sake breweries, excellent seafood and the Luminarie Festival, held in December at the Higashi Yuenchi area to commemorate those who perished in the 1995 Great Hanshin Awaji Earthquake. Kobe is Japan’s second largest trading port after Nagoya, and along with bustling shopping, is part of the Keihanshin District, a high-end resort and tourism area including Kobe, Osaka and Kyoto. The Arima Onsen, founded in the 8th century by Buddhist monks, is a major draw, as is Mt. Rokko, standing 3,054 feet high, where indigenous Kiso and Tokara horses pasture on the mountain’s plateaus. 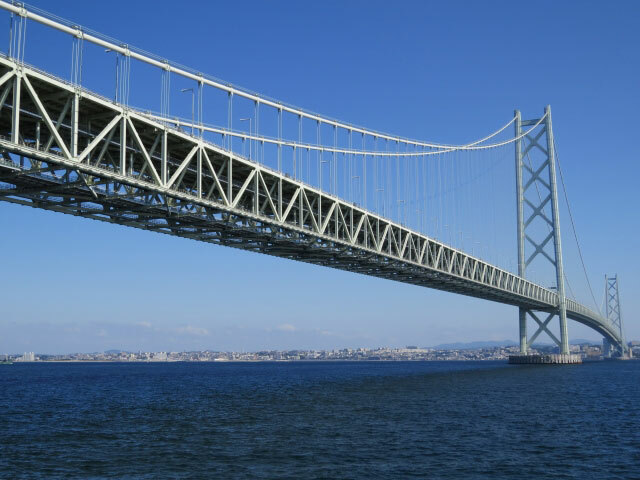 South of Kobe, into the Seto Inland Sea, lies Awaji Island, connected to the mainland by the Akashi Kaikyo Bridge. This bridge is the world’s longest suspension bridge, measuring 12,832 feet long with two bracing towers located approximately 6,270 feet apart. The bridge is lit every night, affording amazing views from Mt. Rokko. Awaji Island is the largest island in the Seto Inland Sea, with beaches and hiking trails, along with a unique feature called the Uzushio. Here fast tides swirl near the coast, causing whirlpools of all sizes! Traveling counter clockwise around Hyogo Prefecture, it’s easy to visit Himeji Castle, a UNESCO World Heritage Site and one of the premier examples of medieval Japanese fortified castles. The bright white castle resembles the shape of a heron with wings spread and is beautifully preserved. The castle architecture focuses on defensive strategies, showcasing multiple gates that create bottlenecks for advancing enemies, fortification walls with oval, rectangular and triangular holes from which specific weapons could be shot and skirt-like sashes at windows through which hot oil and sharp rocks could be thrown. 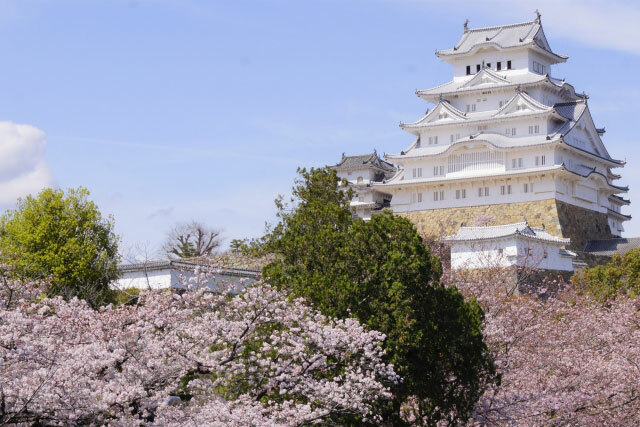 For all of its warlike fortifications, Himeji Castle is now the site of the Himeji Castle Cherry Blossom Viewing Fair in spring, the Himeji Castle Festival in summer, the Moon Viewing festival in autumn and a famous Ceramics Market. Visitors also tour nearby Mt. Shosha, with its 1,000-year-old temple and the Kōko-en Garden, with its reproductions of Edo Period buildings. Towards the northern part of Hyogo, the Kinosaki area boasts numerous ryokan and onsen, as well as a basalt mass 214 feet long with deep caves left over from cooled lava flows. Overlooking this picturesque area is the Onsen-ji Temple, founded by the Buddhist saint Dōchi Shōnin in the 8th century. From this temple, as numerous statues of Kan’non, the ancient Japanese Goddess of Mercy, look down over the area. Takarazuka in the southeastern part of prefecture is also famous for its Kiyoshikōjin Seichō-ji Temple, where legends of Kōjin-san, the God of Fire, abound and where visitors come to ensure good luck in their endeavors. No matter where you are in Hyogo, small and large restaurants provide incredibly diverse Japanese food, from succulent kobe beef to the signature dish of the prefecture, akashiyaki. 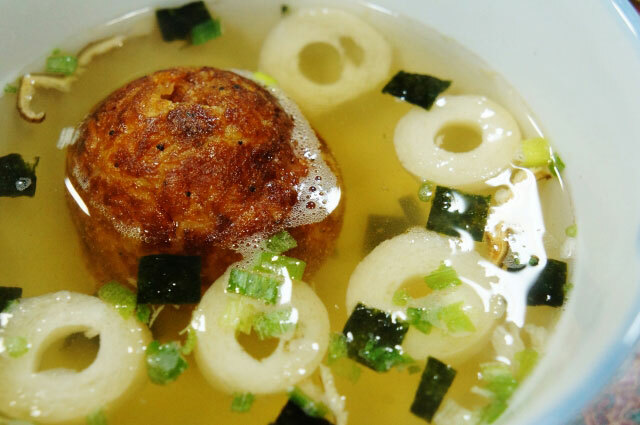 Akashiyaki are eggy octopus balls, similar to takoyaki, but served with a savory dashi broth and without sauce. Akashiyaki are made with eggs, green onions, ginger, a small amount of flour and pieces of diced octopus, often from the Futami area, where the species are known for their succulence. 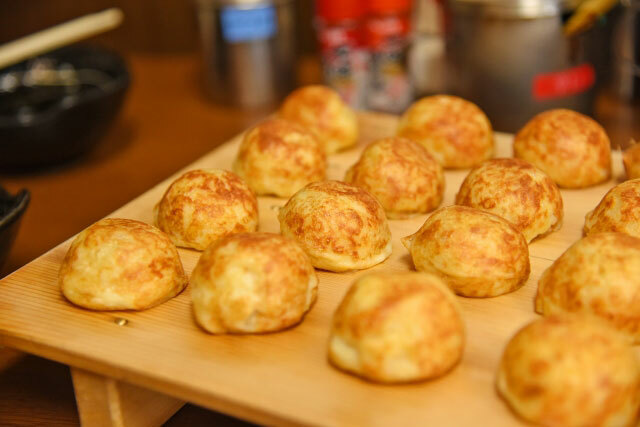 Akashiyaki are prepared similarly to takoyaki on a special molded pan heated over a wood fire, and are served slightly underdone on a sloped wooden cutting board. When eating akashiyaki, the dumplings are scooted from the cutting board into a warm umami-rich dashi broth. On a cold day, akashiyaki fill the belly and warm the soul! And as always, be sure to share your comments below! We are inspired every month by innovations that you, our fans, share with us. You inspire us to create small appliances that bring ease, convenience, versatility and style to your kitchen. And that ultimately help you cook delicious foods, simply and easily. It’s with these beliefs that we’ve created the Induction Heating Pressure Rice Cooker & Warmer (NP-NVC10/18)–our flagship rice cooker. This rice cooker is engineered to cook perfect rice, every time. The advanced fuzzy logic with artificial intelligence technology used in this rice cooker “learns” from prior cooking experiences and makes minute adjustments to each batch of rice, so that it is cooked perfectly, every time. The microcomputer that controls the rice cooker also manages the multiple varied settings, which are accessed from the large, easy-to-read LCD panel. White rice can be cooked regular, harder or softer, and the rice cooker also has menu settings such as umami, mixed rice, sushi or sweet rice, porridge, brown rice, GABA brown rice as well as rinse-free and quick cooking. Exclusive to this model are the steam-reduce and scorch settings. The steam-reduce setting minimizes the amount of steam emitted from the rice cooker, so surrounding cabinets are protected, and the scorch setting scorches the bottom of the rice for a crunchy texture. 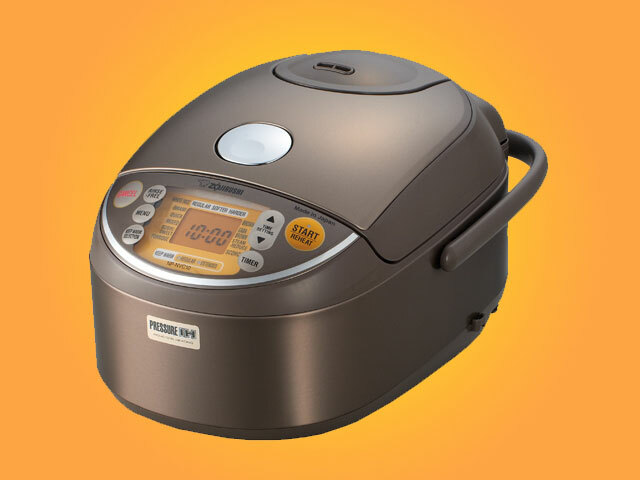 Pressurized cooking is a key feature in this rice cooker, as applying pressure during cooking converts the rigid beta starch in rice into alpha starch, which makes the rice sweeter, softer and easier to digest. Sushi rice, which needs to be harder in texture, is cooked at the same atmospheric pressure as sea level, while white rice and brown rice are cooked at higher pressures, which gives them a soft yet chewy consistency. 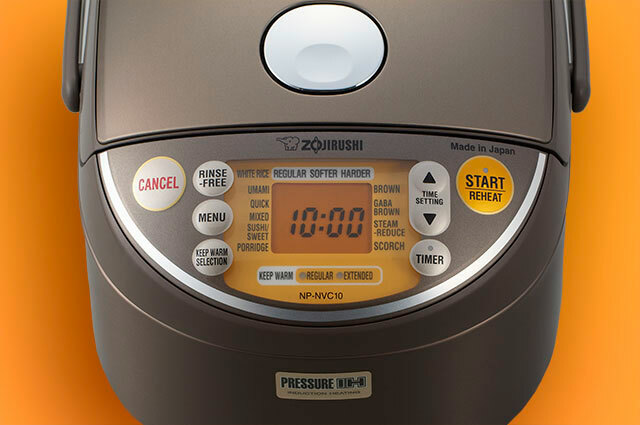 No matter what type of rice you use, this machine selects from three pressure levels according to the menu selected–automatically! The induction heating technology used in this pan creates instant and precise heat. The inner pan is heated, not the inside of the machine, so that cooking temperature is concentrated where the rice is. The inner pan is made with a platinum infused nonstick coating, making the water used to cook the rice more alkaline, enhancing the natural sweetness of the rice. Clear, bright markings make it easy to measure in the right amount of rice and water and the entire pan is easy to clean with mild dish detergent and warm water. And the stainless steel inner lid can be detached and easily cleaned in the same manner. This machine uses the same great convenience features that our other rice cookers do: namely, the ability to select your favorite sound signal–a beep, a melody or silence–as well as Keep Warm, Extended Keep Warm, Reheat and Timer functions. This rice cooker’s exterior is just as beautiful as the interior, featuring a clear coated stainless steel which coordinates any kitchen décor. It is available in 5.5 cup and 10 cup sizes. Our top-of-the-line rice cooker is the ideal rice cooker for preparing a variety of dishes this season. Green Tea Rice is always a refreshing rice to serve with dishes like ginger pork and teriyaki yellow tail. Brown Rice and Black Bean Crisps are filling, look beautiful and are naturally gluten-free. And our delectable Deconstructed California Roll features sushi rice paired with crab meat, avocados, cucumbers and nori seaweed. The rice cooker comes with a rice spatula, spatula holder and measuring cup. No matter what you make, we know you’ll love our rice cooker as much as we do. Leave us a comment about your best experience and as always, be sure to share your favorite recipes with us! Ahh, December. The end of the year is full of festive indulgences. Parties, decadent foods and drink, as well as hectic schedules take their toll. In Japan, a wonderfully warming, sweet drink called amazake is the perfect antidote to keep one energetic and vibrant. Similar to kombucha, which is widely known in the West, amazake is a fermented drink made of short-grain rice fermented with water and kome koji, or rice malted with the mold aspergillums oryzae. Amazake is produced at home as well as in commercial facilities, and the drink is purported to provide essential amino acids, B vitamins, enzymes and carbohydrates. Amazake is generally non-alcoholic, although one variation of the drink is made using sake kasu, or the lees from fermented sake, which results in a drink with less than 1% alcohol. Amazake has a rich and varied history. It was originally mentioned during the Kofun Period of Japanese history (250-538 AD) in the Nihon Shoki, the second oldest book of Japanese history. In the Edo period it was consumed during the hot summer months to prevent Natsubate (summer fatigue). Containing vitamins B1, B2, B6, B12, pantothenic acid, biotin, inositol, oligosaccharides and fiber, it is so nutritious that it was even given to weaning babies. Today, Japanese people typically enjoy amazake during cold winter months, when the mixture is pureed and heated, providing much needed energy and benefits to skin, hair and nails during harsh climate. While enjoyed ‘neat’, amazake can also be used as the liquid in smoothies and as a substitute for milk in ice creams and desserts, as it is naturally sweet and low calorie. It may also be served as a substitute for yogurt. And one of the most fun uses of amazake is as a hangover cure, replenishing the body and brightening the skin after excess drinking. Amazake can be made at home, similar to the way yogurt is made. 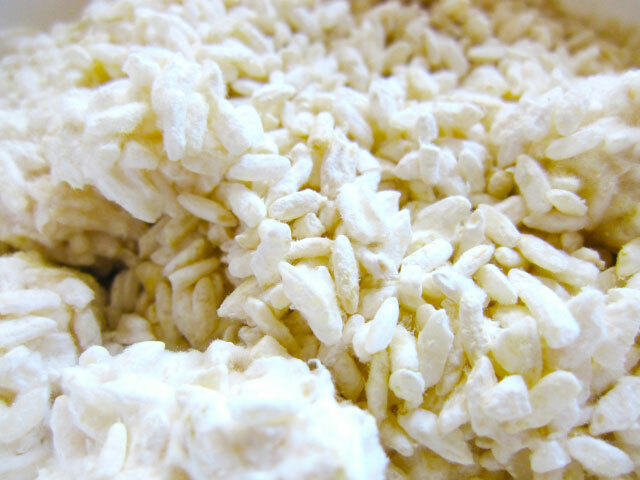 Rice and kome koji, available online and at Japanese supermarkets, are mixed with water, and heated to between 131°F-140°F. It’s kept at that temperature for eight hours and then the resulting mixture is pureed into a smooth liquid. 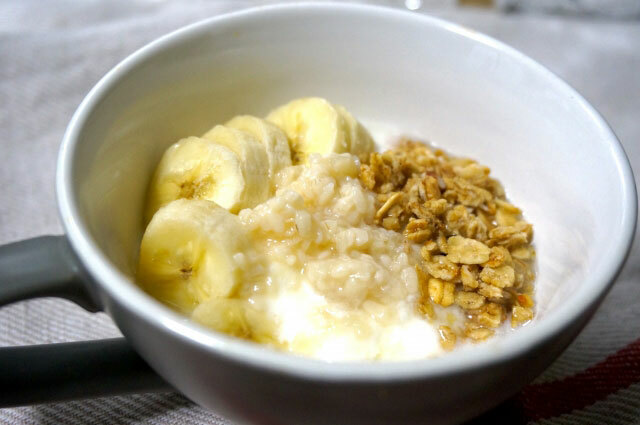 In Japan, amazake can be found in almost any supermarket or convenience store, and in the US, at specialty health food stores and Asian supermarkets. 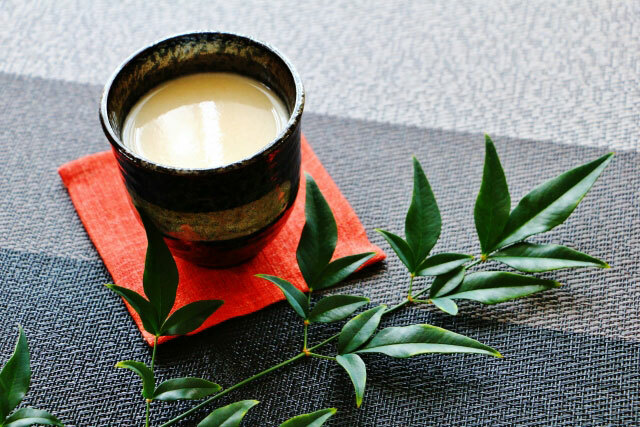 We hope you try amazake this winter, bringing you warmth and health for the end of the year! When I was a kid growing up in Hawaii, Christmas was always depicted with Santa on a surfboard. I mean, what would you expect, living on a tropical island? Doesn’t make sense for him to come down a chimney, riding a sleigh pulled by reindeer, does it? Christmas in Hawaii is definitely a unique experience, with its own flavor and culture unlike anything on the Mainland. And as a kid, I never wondered how Santa was able to deliver our toys on a surfboard—I only cared that I got them. Christmas was introduced to the Hawaiians back in the early 1800s when Protestant missionaries first came to the islands. Prior to this the Hawaiian religion celebrated Makahiki, which was a time of thanksgiving, and all warfare was forbidden while communal bonds were renewed. Eventually King Kamehameha IV and Queen Emma of Hawaii declared Christmas an official holiday in 1862. 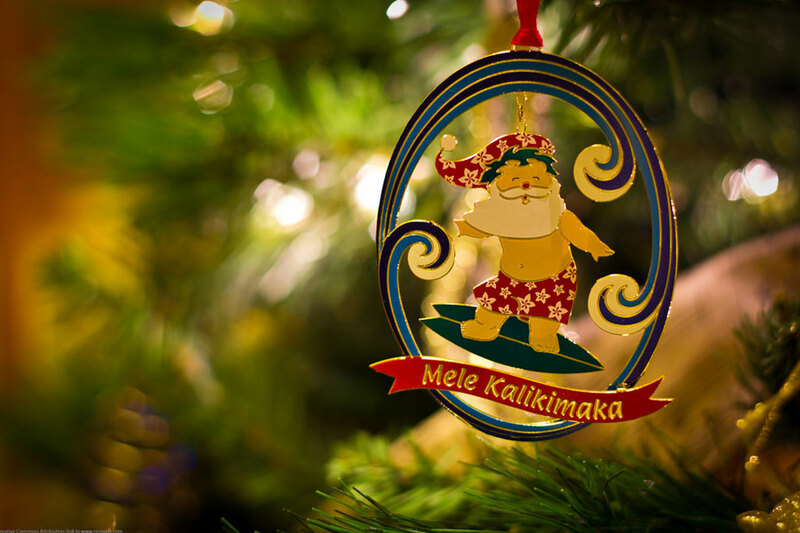 Mele Kalikimaka means “Merry Christmas” in Hawaiian (roughly translated). 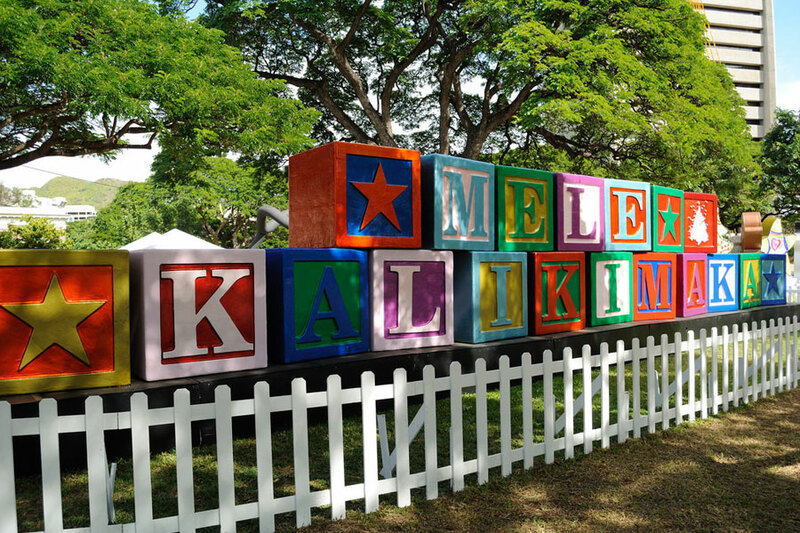 It’s not as difficult to pronounce as it looks, BTW—just say “Meh-leh Kah-li-ki-mah-kah” and flash the “shaka” sign and grin! There are 2 songs that say Mele Kalikimaka that I know of; the original is by Bing Crosby from the 1940s and the other one is a more updated version by the Beach Boys. Maybe you’ve heard these before? What’s for dinner at Christmas? My guess is that most of America has ham or turkey during the holidays, or maybe roast beef. Being Japanese-American, someone would always bring sushi because that’s what you eat on special occasions. But there would be Kalua Pig too, just because— who doesn’t like roast pork, Hawaiian style? 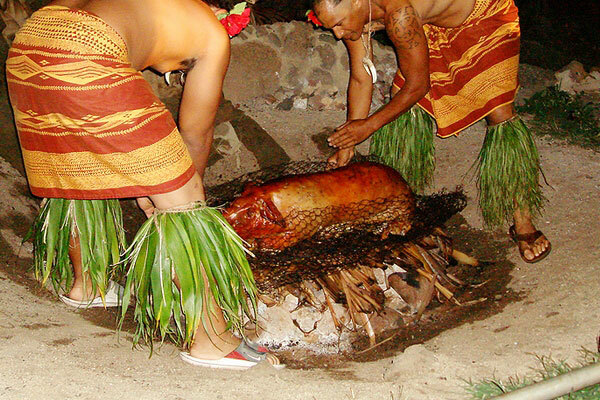 If you go to any luau in Hawaii, you’ll be able to see how they roast a whole pig and bury it an underground oven called an imu. 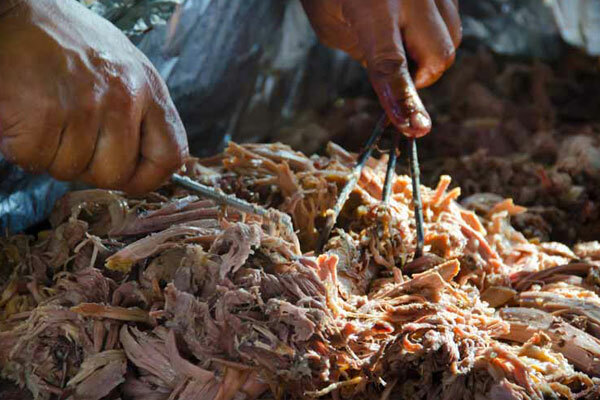 As a tourist attraction it’s pretty spectacular to see the entire pig being hoisted out of the ground, but luckily by the time it hits your plate it basically looks like shredded pork. My wife’s family, from her Hawaiian side in Maui, really did have a pit in their backyard where they did this every year. Poinsettias, which start blooming all over the place in pots during Christmas, are indigenous to Mexico and Central America. But they grow wild in Hawaii, where you can see them changing colors to their brilliant red on the hillsides. 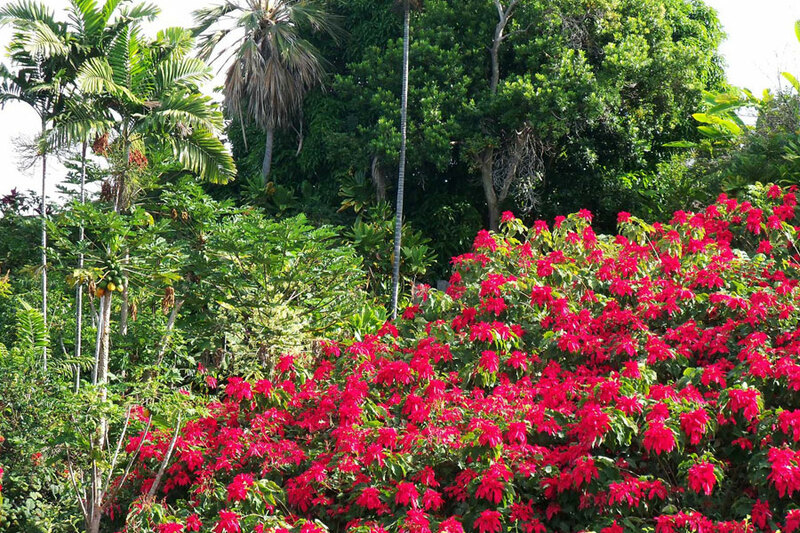 The tropical latitude makes for ideal conditions for Poinsettias, which can grow up to 12ft. and can be spotted everywhere, in backyards and along local roads. As winter comes in Hawaii, the shorter days cause the Pointsettia leaves to turn Ferrari Red, and everyone knows Christmas is coming. Be honest, when you see Pointsettias in pots it’s no big deal, but if you saw them like this, wow! Let’s get back to Santa on a surfboard. Only in Hawaii can you get an ethnic looking Santa for a picture, right? 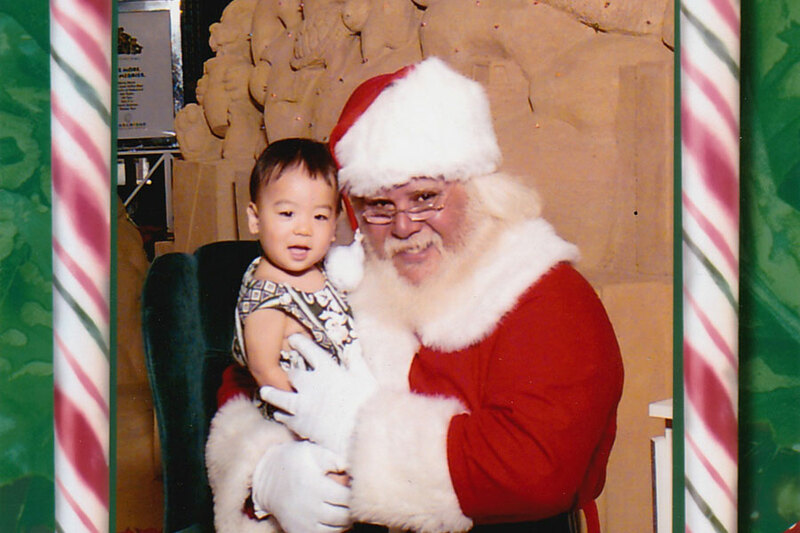 Here’s my son at 19 months old, when we took a Santa picture at a mall in Honolulu. We’ve taken pictures every year since my kids were born, and we still make them take Santa pictures even today. My son is now in college and 20 years old, but he’s a good sport about it. This is my favorite though—with the local Santa who just got back from the beach.